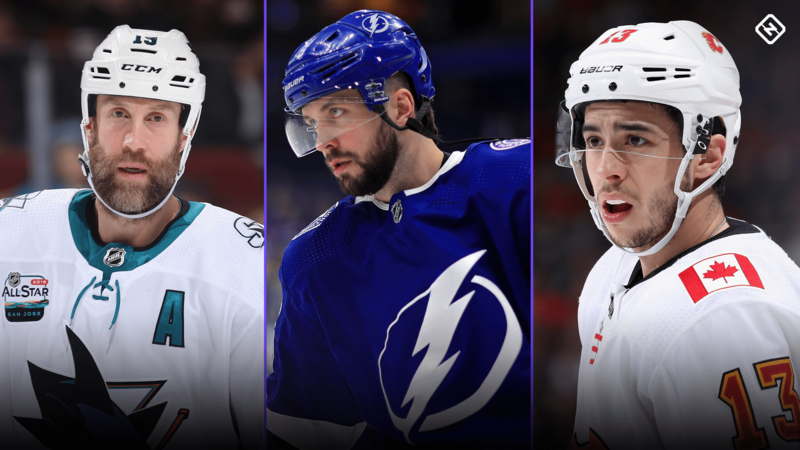 The 2018-19 NHL regular season is drawing to a close, and while some teams are in full “Lose for Hughes” mode, others are gearing up for a playoff run. Every team still in the race is within a few points of their closest competitor, except for the Tampa Bay Lightning, who handily clinched the Presidents’ Trophy. Is this the year Steven Stamkos and Co. lift the Stanley Cup? Or will Joe Thornton end his Hall of Fame career with one last trophy? Only time will tell who this year’s playoff heroes and losers will be. Below are the latest NHL standings, along with odds, projections, and everything else there is to know as the 2018-19 season nears its end. The last day of the NHL regular season is Saturday, April 6, with 15 games on the slate. The 2019 playoffs begin three days later on April 9. How do the Stanley Cup playoffs work? Eight teams in each conference qualify. Each best-of-seven series is played in a 2–2–1–1–1 format, and the winners advances to the next round. In the first round, the top seed in each conference plays the second wild card winner while the other division winner plays the first wild card. In each division, the second and third place teams battle it out to see who will advance to the conference semifinals. Teams that advance to the conference semifinals are reseeded with the highest seed playing the lowest. Here’s how the 2019 Stanley Cup playoff’s first-round series would look if the season ended today.